Learn and experience the benefits of mindfulness meditation. Students, faculty and staff are invited to participate in a 20-minute group meditation session at the Health Sciences Center Pylons. 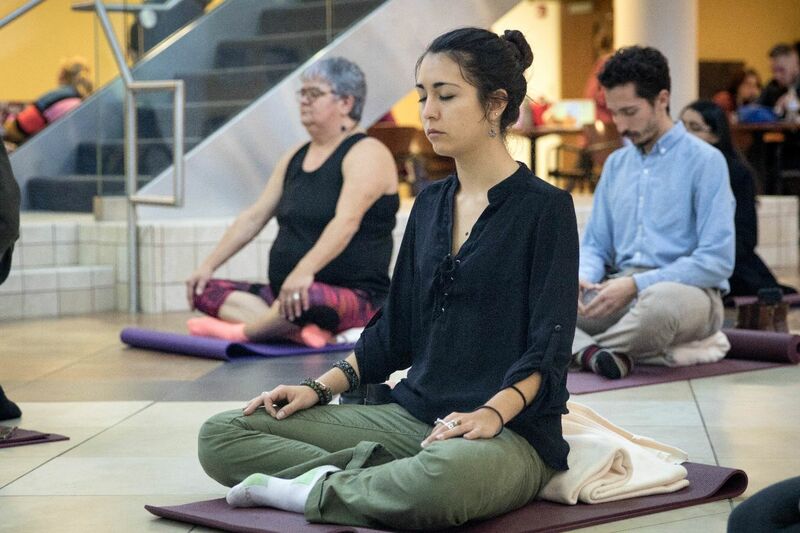 Through collaboration with WellWVU and Collegiate Recovery, Wellness of WVU Medicine will host its third "Meditation at the Pylons" in demonstration and promotion of stillness, well-being and mindful stress management. No previous experience is required. Mats, cushions and chairs will be provided along with fundamental meditation instruction. For more information regarding this event or other mindfulness activity at WVU contact wellness specialist Anthony Danko.